Girls play, read, and build with the inspiring Goldie, a little girl engineer. This is a fabulous way to get girls interested in science. The brainchild of Stanford engineer Debbie Sterling, this toy and book combination gives girls a reason to explore engineering principles. 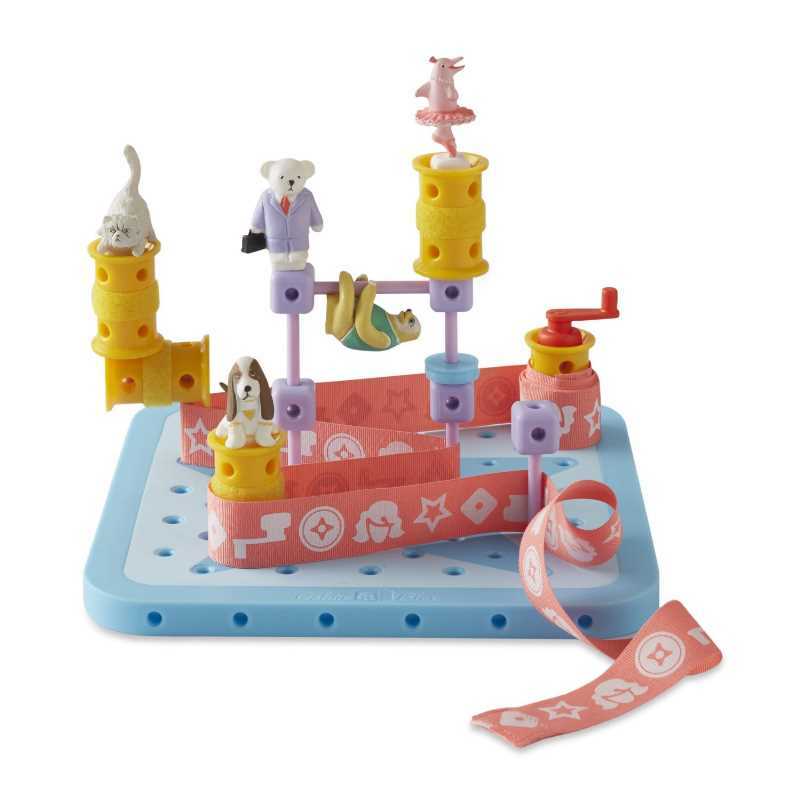 The toy part is a pastel-colored building kit that includes a pegboard, wheels, axles, blocks, washers, a crank, a ribbon and five adorable figurines. 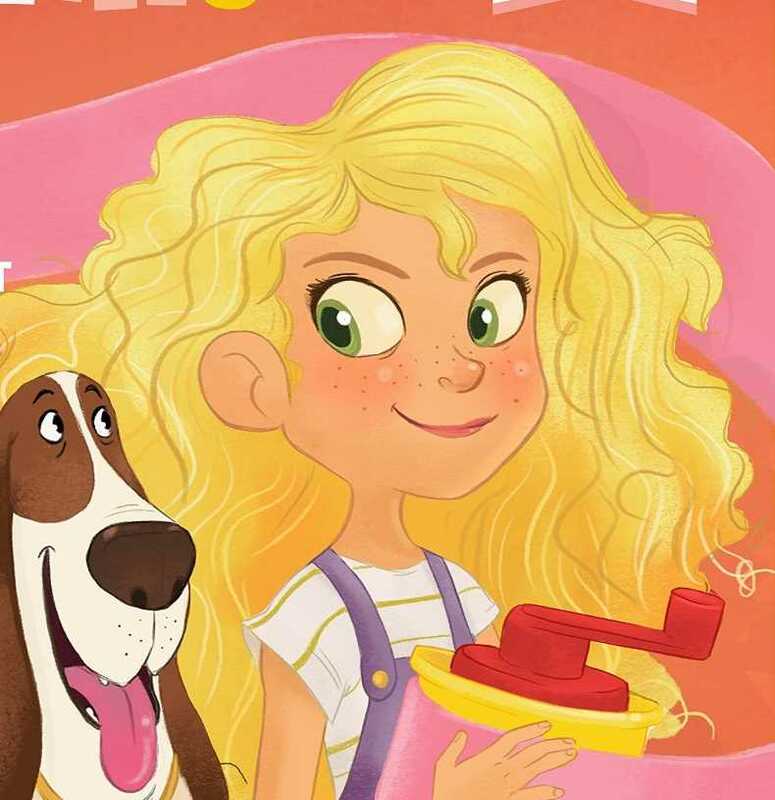 Girls play by reading a cute rhyming story about Goldie, a girl who decides to design a spinning machine to help her dog chase his tail. At various times in the adventure, the book prompts girls to stop and build the same thing that Goldie is doing in the story. By the end, budding engineers will have built a "spinning machine" for the dog. Hook Girls on Engineering When They Are Young! Goldie Blox hooks girls on engineering by tying their exploration to a cute story that gives them context. By putting the building within a familiar play pattern of reenacting a story, girls have a reason to build and become engaged in the engineering. Goldie becomes a fix-it role model for girls in the same way that Bob the Builder does for boys. 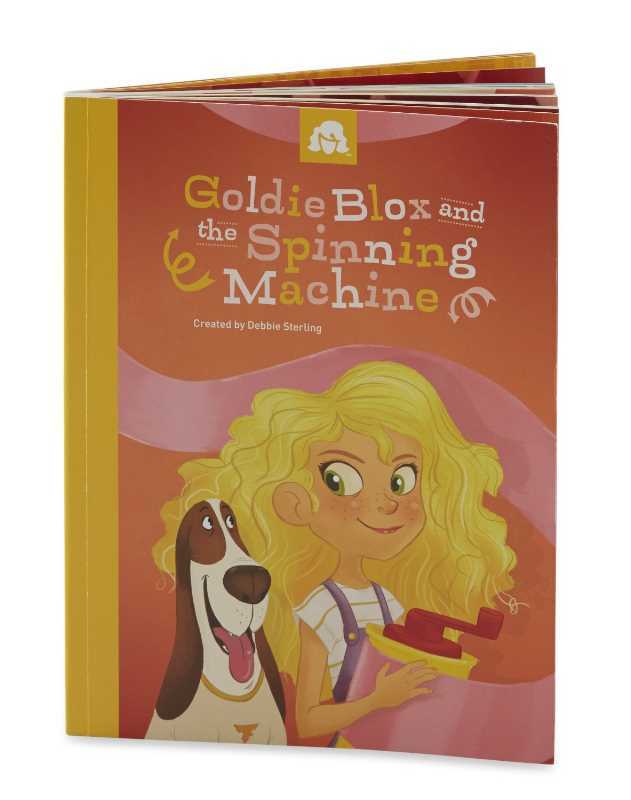 Goldie Blox and the Spinning Machine is a good fit for girls who love stories about interesting girls. What we love about this toy is that it give girls a reason to think about engineering. Who knows, maybe this experience will affect their career path when they grow up? 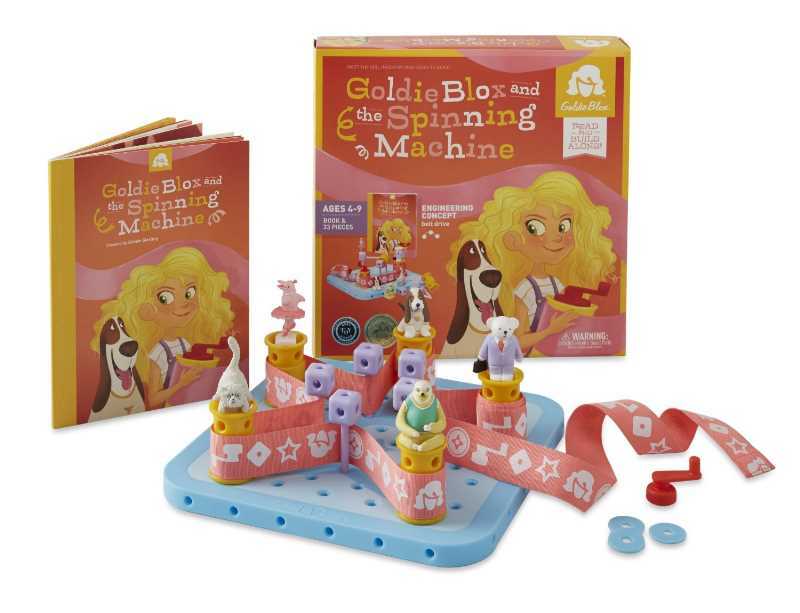 This Goldie Blox and the Spinning Machine tech toy review was written by Jinny Gudmundsen.